Master Box Dimension : 21" X 17" X 16"
All purpose drill brush attachment set, perfect for cleaning any surface in your home. 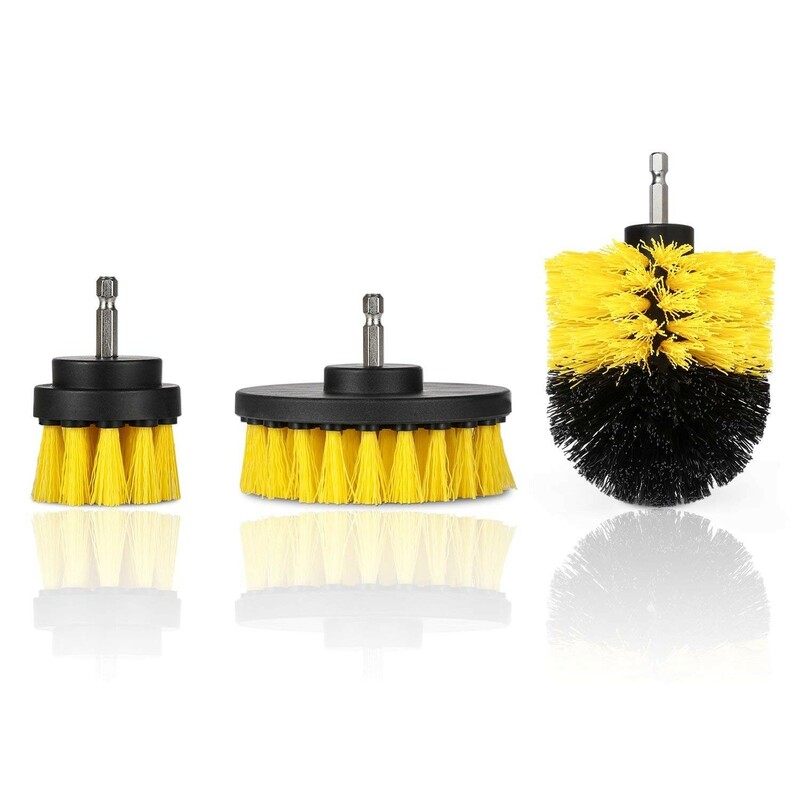 Set comes with 3 different type of brushes and sizes to fit in most areas that needs to be cleaned. Easily power scrub your floor, toilet, bathtub, and anything else you'd want to power clean. Easy to fit in any drill.